My very first beauty post 🙂 I’m happy I did this make-up tutorial. Some things that I have learned I still do like using my eyebrow set. I still use the primer for my eyelashes, but I doubt if I would buy that again as I don’t notice any difference. Perhaps if I stop using it, I will see the difference? And one last thing that has become a habit is to use a shimmery eyeshadow on the sides of my glabella. I still use all the things I bought. The primer is nearly finished now and I will have to do a review on the foundation now I come to think of it ! In the summer I didn’t use it very much as I was so taken with my Erborian CC crème, but now in fall I am using my foundation again. I did use these drops all summer long. I was quite chuffed with them from the start and once I blended them with the Vichy Idéal body serum/milk, the drops even did a better job. It blended really well with this body milk and it made the colour a bit more intense. So I would advice to use the drops with a very fluid body milk to get the best result. What I really needed to do several times in the months that I used this product, was a good body scrub as I sometimes had brown patches on my skin because of the dead skin cells. But scrubbing made them disappear and I could start building up my colour again. I am still happy with this product and if during the festive season my party dresses are sleeveless or show some cleavage, I will certainly use them again to give me a bit of colour. I have used this coconut oil quite a lot in the beginning. But in the heat of the summer I had to store the jar in the fridge as the oil become too runny to use. So… out of sight out of mind… And I really didn’t feel like coming down the stairs every time I wanted to rub myself with the oil… I just used the body lotion that was in my bathroom cabinet! Once summer was over, I put the jar back in my bathroom. I tend to use it after I’ve been soaking in my bath or sometimes to take off my make-up. Still a fan I must say… and now I come to think of it… I must do that mask and scrub thing I mentioned in the post! This Pink Perfect Crème I regularly use, but not all the time. I use it when I want to make a bit of an effort… so mostly for a party or in the weekends or on days that I don’t feel to happy with how I feel. 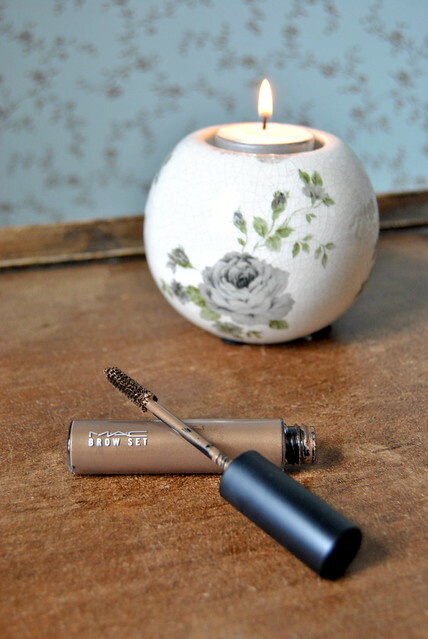 I must say that in the beginning I was really taken with this product but I must admit that that feeling has faded a bit.. probably as it is yet another layer to put on… Still a good product though, but I don’t know if I would buy it again. When I wrote about White Linen in my post, I told you that it was empty but that I had kept the bottle to sniff it sometimes not to forget about that lovely smell. Well I’m glad to say that the empty bottle has been replaced with a full one 🙂 ! These two classics, First by Van Cleef and Arples and Chanel n°5, are just to die for… First is my husband’s favorite. Whenever I am wearing this perfume, he puts his nose in my neck to sniff it 🙂 The Chanel I have been using less as I want to keep it for special occassions. But last month on my daytrip to Paris I puffed a bit in the morning and took a sample with me to do a touch up during the day… heaven! I still use this cleanser almost every evening and I am still very pleased with it… but it has a bit of competition now. In my review you could read that Estée Lauder has a similar cleanser, but with a mask in it instead of a scrub. Now I bought that too a couple of weeks ago. You will get to read a review on that cleanser later, so stay tuned! Fab eyeshadow palettes at a very nice price! These eyeshadow palettes are a fantastic budget buy! I use them ever so often, but recently I bought two other palettes of which you can read a review later this year I promise. 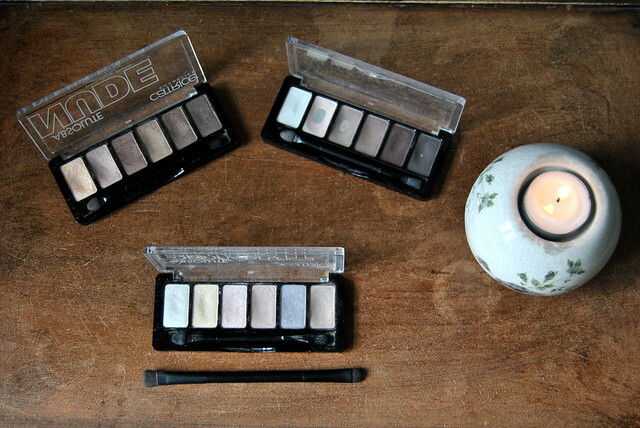 But I use all these palettes alternately… so still a fan of these Catrice ones! Now I couldn’t do without this eyebrow set anymore. I bought it after my Mac make-up tutorial in June and I use it nearly every day So as soon as this tube is empty, it will be replaced! I only bought a small tube of this CC crème so now it is empty. In fall I have moved onto my foundation again, but I will certainly buy this CC crème again next spring. I was really satisfied with this product. It gave me the right colour and it had an SPF 25 in it, so my skin was protected against the sun as well. 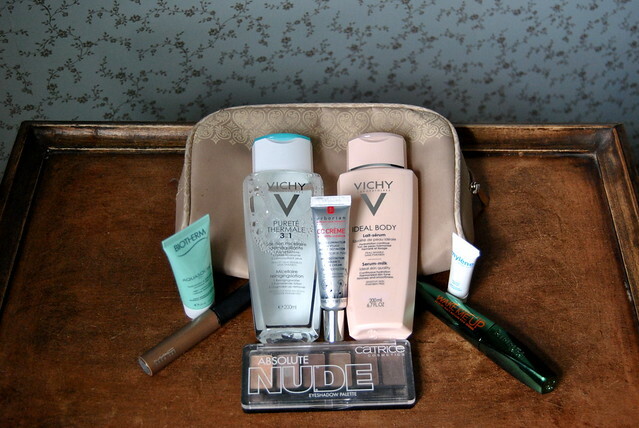 It also hydrated my skin… so a lot of products in one and that is what I like! 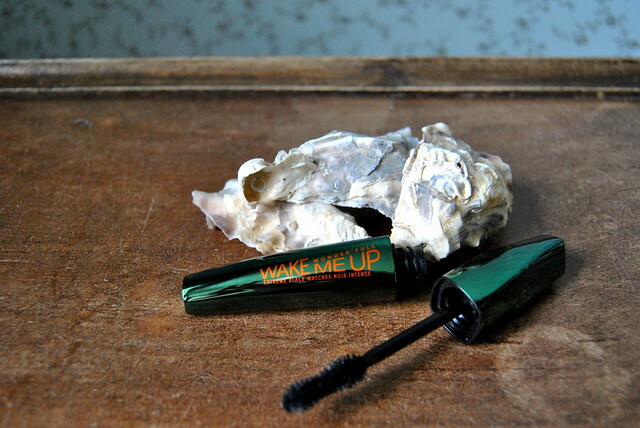 In this post you could see which beauty products I took with me on our weekend break to Holland. I tried to travel light and concerning my beauty products I succeeded! In this post you could see what I took with me on my daytrip to Paris… not just the beauty products, but all the stuff that had to fit into my tote bag… I managed to get it all in and I spared my neck and shoulders as I really took less weight with me than on other trips. This post was on one of the most relaxing days of 2015 so far… Sauna’s, hot tubs, hamam treatment… such a relaxing haven this wellness resort was! Definitely a day we must repeat in 2016. In this review you could read that I am not really taken with this product… sorry Garnier… but this miracle cream just doesn’t do the trick for me! 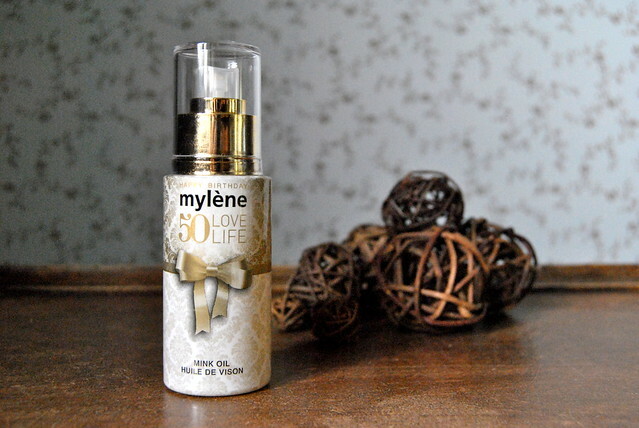 My 20th beauty post was on one of Mylène’s top products : the mink oil. It’s always on my list whenever there is a Mylène homeparty. I use it for several reasons : as a night treatment for my face, to relief the skin after a sunburn, my husband uses it on its itchy skin,… We always have at least one or two bottles in our house as I don’t want to run out of this oil! So that’s my beauty rewind. I hope I inspired you in some posts. Have you tried any of these products yourself and what is your opinion on it ? Please let me know! October-challenge : did I make the 50k ?? Loving the recap. Great blog idea Kathleen.